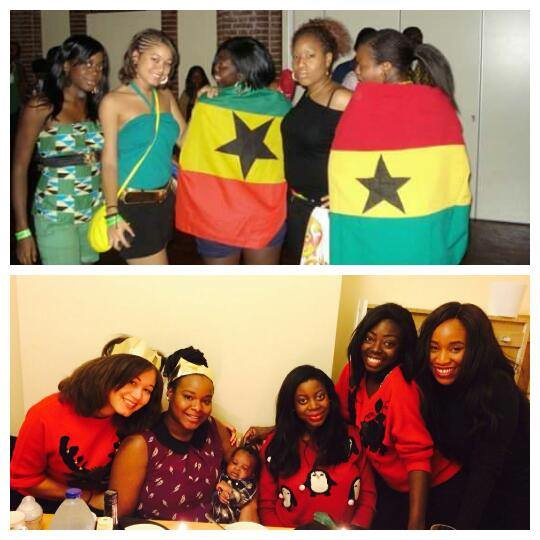 Two things we have in common is that we are distinctively Ghanaian and we went to university together. Back in ’06 when waist belts over tops was a thing?! Funky house ruled the airwaves and our only worry was working out what to wear to Ikon Diva on a Wednesday night. Oh how things have changed. 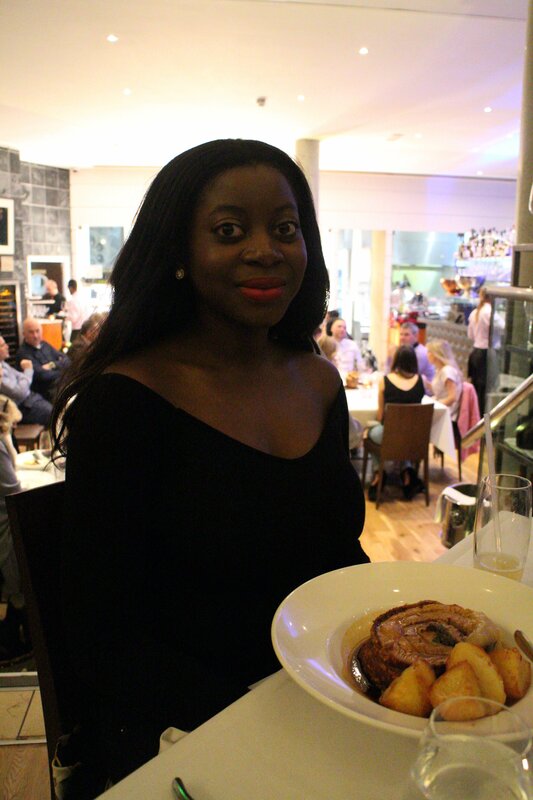 In our finest robes, we descended for a dinner date at Roast, a British restaurant nested within the bosom of Borough Market, for a decadent and luxurious Sunday lunch on a Saturday night. For yummy mummy Anita, it has been six months of no alcohol, so naturally we had to hit the bar…. Promise there wasn’t a dress code…we just love black! Walking through the restaurant, every table was painted with the same scene: hearty laughs paired with hearty meals. After a celebratory glass of red, the main event: food! With so many delicious options on the menu, I finally decided on ordering the roast pork with crispy crackling, apple sauce and roast potatoes. This healthy portion of porky greatness was the perfect side order to a meal filled with laughter, great conversation and silliness! That rouge chip looks chipped off! Miranda, it seems, also got the unofficial memo to wear all black. After all that food and wine, I don’t know how but we found space for dessert. Wanting something light-ish…okay something gluttonous, I picked the chocolate ganache brownie with white chocolate mousse and sea buckthorn berry jelly. Look at it. Death by chocolate. I can confirm that after my last bite of this dessert, I was ready to hit my bed and sleep for a very long time. I always feel guilty eating roast dinners on any other day that is not Sunday but Roast made me appreciate that this is a meal that deserves to be enjoyed with friends and/or family at any time or date. With Mother’s Day near, this is the ultimate place to spoil your mama this Sunday with a delicious roast meal in the heart of bustling Borough Market with the Thames nearby to go on a leisurely walk to burn off this feast. Plus the Tate Modern and the Southbank Centre are also close by to visit. Visit: www.roast-restaurant.com for more information. Wishing you all amazing weekends with your mamas.